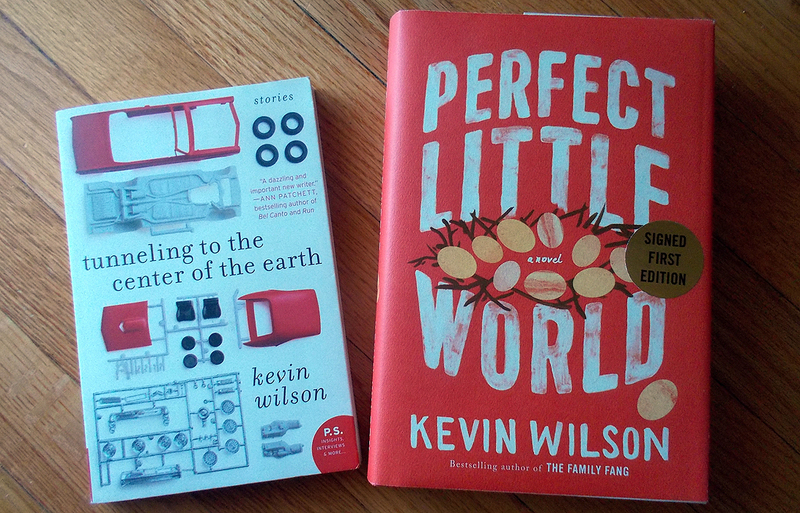 Kevin Wilson is the author of The Family Fang, Perfect Little World, and Tunneling to the Center of the Earth. He's quickly become one of my favorite authors, but I especially love his short stories. I had a chance to see him speak at a local university, and he was down to earth and very level-headed about being a writer. After being in an MFA program, I've started to hate stories with that typical MFA-touch of having no real resolution, and no real point. Kevin Wilson's short stories are the opposite of that. They bring up interesting, bizarre ideas and make you think, and leave you with your imagination in overdrive. The Family Fang: The Fangs are a family of artists, creating pandemonium in public and filming the confusion. Kind of like a four person flash mob, before there were flash mobs. Annie and Buster participate with their parents as children, but as they grow up, they grow tired of a life of hoaxes. Both children move on, but when they’re down on their luck, they come home. Their parents ask them to participate in one final artwork, but can the kids give up all they’ve worked for towards getting away from this life? Very amusing, deep, and interesting. Wilson is a must-read. Perfect Little World: Izzy gets pregnant by her high school art teacher, and isn’t sure what her small town can offer her after graduation. When a unique opportunity presents itself, Izzy has to take part. Even if it means promising ten years to a sociological experiment in which her child wouldn’t necessarily be hers, but raised equally by 18 other people. The story is just as multi-faceted as it sounds, and Wilson’s character development is amazing. I would love to get inside of Wilson’s mind. His stories are so vibrant and creative; beautifully written prose that borders on genre - usually sci-fi - but staying mainstream. I recommend this book to everyone, regardless of reading tastes or general interest. Tunneling to the Center of the Earth: I'll be honest - the title and cover art grabbed my attention for this book, but I'm so glad it happened that way. These are some of the best, most innovative and interesting short stories I've ever read. The first story pulled me in and each of the following were just as fascinating. Wilson writes in a world where there is a company of stand-in grandmothers for families who aren't ready to tell their children that granny has passed on, where letters must be manually sorted in a Scrabble factory, where a museum of whatnot is a setting for love. Another book I'll be recommending to everyone.